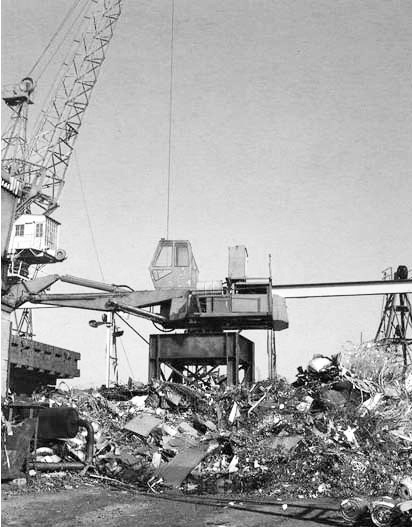 Left: Robinson's scrap-metal yard on Ballast Quay where Mareka made friends with the crane drivers as a toddler. Right: Mareka caught on camera on Ballast Quay by an unknown photographer ca.1992. 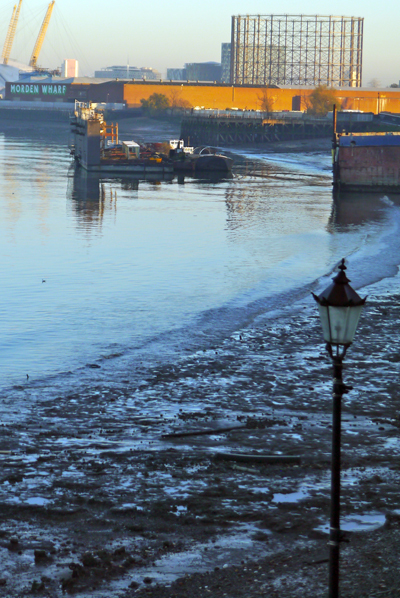 Right: The Thames foreshore at low tide where Mareka went mudlarking as a child. a familiar sight in Mareka's childhood. 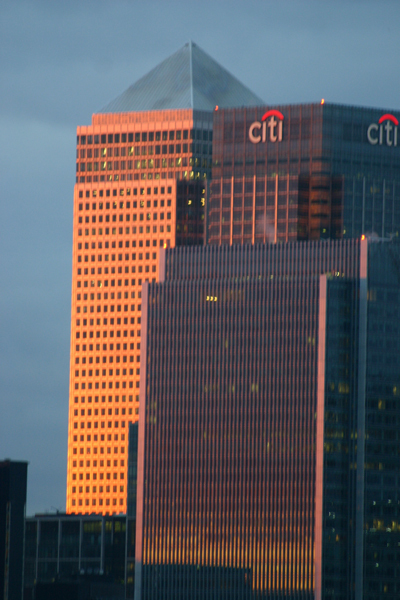 Right: Sunset on One Canada Square, Canary Wharf. Completed in 1991, it became an obsessive source of inspiration for Mareka's art projects as a teenager. 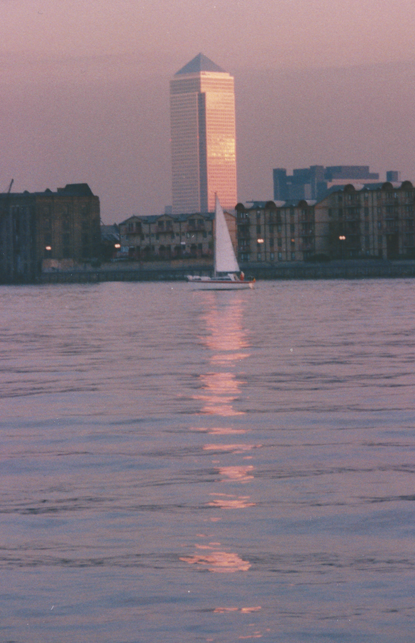 One Canada Square in the early 1990s when it was the only tall building on the Isle of Dogs. 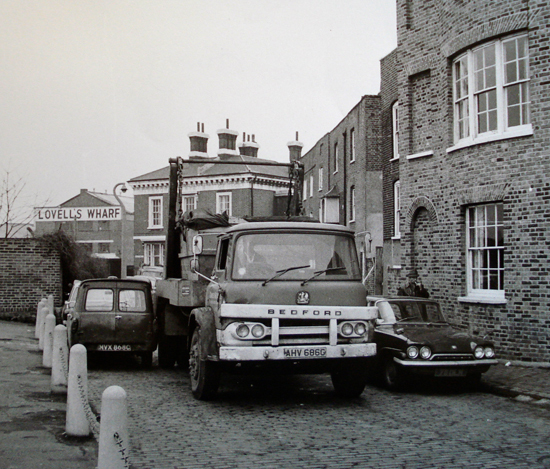 Mareka Carter lived on Ballast Quay from the age of two and looks back on her life growing up on the street in the midst of industrial cranes, ships and scrap-metal lorries and drunken sailors. 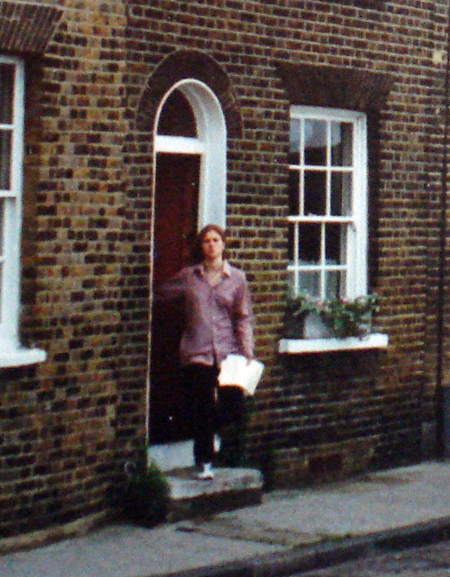 She witnessed the changes of the post-industrial era, as the docklands disappeared under concrete and the new world of high-rise offices and residential apartments emerged. She now lives in London's East End, but Ballast Quay is still home to her. She feels privileged to have grown up so close to the sights, sounds and smells of London's river in such a close-knit, friendly community.